The Australian & New Zealand College of Anaesthetists (ANZCA) have been promoting National Anaesthesia Day each year on October 16, the anniversary of the day ether anaesthetic was first demonstrated in 1846, in Boston, Massachusetts. ​One of our anaesthetists Dr Bruce Christie celebrating the day. Keith is in trouble. He developed sudden belly pain this morning and is now very ill. He has low blood pressure, looks grey and mottled, and his doing his best to cope with his sore, rigid abdomen. He needs an operation now if he is to survive. “We’ll look after you.” Catherine administers a measured dose of anaesthetic, then expertly slides tubes into his lungs, arteries and veins. Over the next three hours she uses all her skills and training to keep Keith alive whilst the surgeon repairs his ruptured aorta. “I’d forgotten how it feels not to be in constant pain,” sighs David as he sits down for his follow-up appointment. Two weeks ago, Michael had used ultrasound and other imaging to target a chronically irritated nerve in David’s back. With an accurate injection of local anaesthetic and radio waves he has finally managed to silence the crippling pain signals firing out from the affected nerve. During medical school I spent perhaps one afternoon looking at the job of an anaesthetist. Their work seemed to be a ‘dark art’; quiet efficiency amongst a baffling array of strange and potent drugs, equipment and monitors. Later, as a junior doctor, it was impossible not to respect the anaesthetist’s mastery over the extremes of human physiology. Their ability to access ‘the impossible vein’, restore breathing and circulation in the seemingly doomed patient, or apply a calm, logical plan to a confusing and frightening situation intrigued and inspired me. It’s a daunting training program: a rigorous selection process based on general, pre-specialty experience followed soon after by an exhaustive examination of the relevant basic sciences of anaesthesia. Five years of specialty training follow. 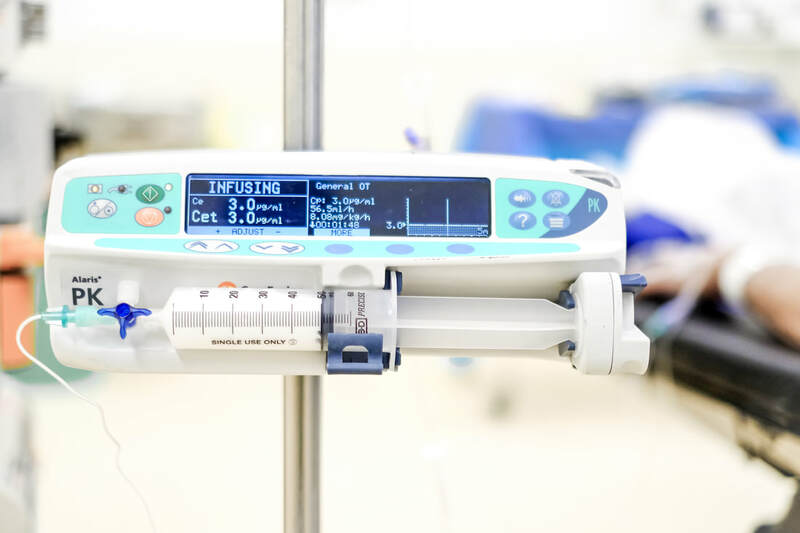 In a range of settings, we gain experience in anaesthesia for all types of surgery, emergency and critical care, pain medicine and the medical care and preparation of patients undergoing surgery. An all-encompassing final examination rounds out our training. We practise our craft in major city referral hospitals, country hospitals, in operating suites, intensive care units and the backs of ambulances. Anaesthetists can further train in super-specialized surgical fields, intensive care and pain medicine. In many ways, it’s the team environment that makes anaesthesia such a rewarding specialty. Being among such skilled operators: doctors, nurses and technicians, all combining their skills to achieve great outcomes for our patients. In some situations we’ll be the leader, in others we make up the invaluable support structure that gives someone a new liver, removes their tumour, or helps them survive a catastrophic car accident. I love the both the feeling of mastery of my craft, and the sense that there is still so much to learn. Years of painstaking scientific learning and honing clinical skills are now my foundation for my own ‘dark arts.’ I subtly apply different facets of my knowledge, skills and care to each of my patients. Perhaps it’s helping the anxious child to relax for his tonsillectomy, working with the operating team to quick and safely deliver a baby during an emergency caesarean, or the split-second decision and manoeuvre that saves the choking patient. As anaesthetists we are fortunate to be in a specialty that affords wonderful choice in hours, type of work and geography. Our skills are in demand in the biggest teaching hospitals in the world’s biggest cities, in a rescue helicopter on a windswept rock face, or in a relief team in one of the world’s troublespots. It’s a rare and exciting choice for a doctor. “Don’t you like talking to your patients?” seems the reasonable response to a career in anaesthesia. But perhaps the reverse is true. It is at one of the most vulnerable times in their lives that our patients turn to us to explain, reassure and take control. It is a level of communication with our patients and their loved ones that few experience, and it is our privilege to be their guardian on their journey. Today, about 17,000 people will have an anaesthetic across Australia and New Zealand. Perhaps we might help twenty people have their cancer screening procedure smoothly and painlessly, or we might make the split-second decision that saves a life. Either way, anaesthetists play a sometimes exciting, but always vital, part in our health system. Today we recognised Kay McClounan's dedicated service to Anaesthetic Group Ballarat. Kay commenced employment with AGB in 1977 and apart from periods of leave to have her children, she has worked with us ever since. Over this time she has seen many changes and has managed to outlast all the original anaesthetists of the group. 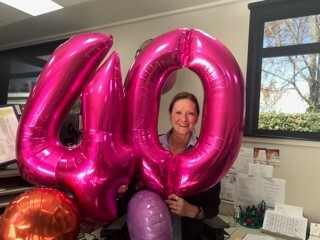 "Forty years is a long time which has flown by so quickly! I do (and always have) enjoyed working here with each and every one of you and will definitely make the most of my next holiday!" Kay said. A very well deserved holiday for sure - congratulations Kay! I’m an anaesthetist in Ballarat, the main referral city for Western Victoria. I work in both the public and private health systems, and have a very varied workload across most surgical specialties, including a fair percentage of time working as an intensive care consultant. I graduated from medicine in 1997, and undertook specialty training in Victoria, New South Wales and Scotland. After becoming a specialist anaesthetist in 2006 I moved to Ballarat, where in addition to my anaesthetic practice, I have a busy winery, and a very active family.